AS ONE OF the leading voices in Newfoundland and Labrador’s next generation of literary talent, Eva Crocker says she finds ideas and motivation to write all around her. “I’m inspired by my surroundings, by the current political climate in the province, and also by the physical landscape here in Newfoundland,” she lists. It’s reflected in her work: Crocker’s debut book, the short story collection Barrelling Forward, was hailed as “sizzling” and applauded for a “sophisticated rendering of Atlantic urban life” by the Toronto Star. She’s showing St. Johns, and Newfoundland and Labrador, moving into the connected and complex future. I’m inspired by my surroundings, by the current political climate in the province, and also by the physical landscape here in Newfoundland and Labrador. 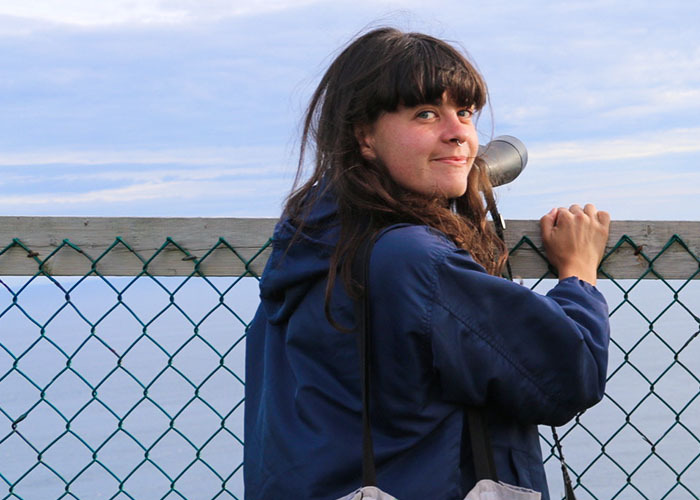 After completing a master of arts at Memorial, Ms. Crocker worked for two years as associate editor and chief staff writer at The Overcast, the St. John’s-based arts and culture paper — further immersing herself in the local scene. She recently taught as a per-course instructor in Memorial’s Department of English and is now freelancing while working on her own projects. “I’m trying to figure out how to write a novel, it’s exciting and incredibly frustrating at the same time,” she says (her first novel is due out in 2020).